If someone asks me if I’m a charismatic, I’ll say no. ‘But you believe in the gifts of the Spirit today!,’ they might protest, and to that I’ll readily agree. But that doesn’t make me a charismatic. While some forms of the charismatic movement share many of the same distinctives as Classical Pentecostalism, others just don’t. And without recognising the difference we end up lumping the entirety of both movements together and then failing to understand either one. Ben Pugh has been both a Charismatic and a Pentecostal, and his newly published book Bold Faith: A Closer Look at the Five Key Ideas of Charismatic Christianity sets out to distinguish between the two and to examine ‘those theologies that are identifiably Charismatic, rather than Pentecostal’ (p.xii). But that’s not to say that these Charismatic theologies are in any way insignificant for Pentecostals, for, especially when we forget the differences between the two movements, many contemporary Pentecostals readily (and often uncritically) adopt Charismatic ideas and practices. The two may not be the same, but one certainly has increasing influence on the other. Pugh starts off by identifying four distinctives of Classical Pentecostalism. 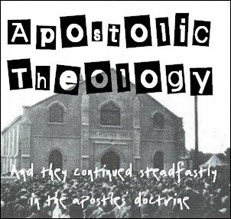 (By the way, for those unfamiliar with the terminology, I’m using the expression ‘Classical Pentecostalism’ in a technical sense – it refers to those Pentecostals who trace their origins to the Pentecostal revivals of the beginning of the 20th Century. In other words, ‘Classical Pentecostal’ is the standard label which distinguishes Pentecostals from Charismatics.) For Pugh, the four distinctives of Classical Pentecostalism are 1) the Baptism in the Holy Spirit, 2) Premillennialism (although, interestingly enough, two of the three original British Pentecostal denominations, Elim and AoG, have dropped Premillennialism from their statements of faith – did the influence of the charismatic movement play a role in that? ), 3) Healing in the Atonement, and 4) Tongues (and Other Gifts) as Initial Evidence. Pugh demonstrates that, although many charismatics believe in the baptism of the Spirit, healing, tongues and other gifts, and some are even also premillennialists, all of these take on a different role among what he points to as contemporary charismatic theology. So the baptism in the Spirit has often either been reduced merely to ‘speaking in tongues for the first time’ (p.7), or eclipsed by charismatic emphases which are the focus of the rest of Pugh’s book (p.6). Healing, for many charismatics, has lost its connection to the cross, and so a charismatic theology of healing can exist independently of any thought on the atonement. Therefore, for charismatics like Bill Johnson, Jesus can function merely as our example when it comes to healing, without any focus on Him as our Substitute (see pp.119-120). Giving a chapter to each of these ideas or (folk-) theologies, Pugh takes us clearly through the history of the rise of each, and from where each has drawn its ideas (sometimes in rather surprising places!). He then looks at the currently popular ministries/teachers within each of these areas, showing how these ideas meet the contemporary church. So, for example, in the chapter on Inner Healing, he takes us from Jungian psychology and New Thought, to Bethel Sozo and Freedom in Christ. The Word of Faith chapter goes beyond the usual suspects of Kenyon, Hagin, and Copeland, to look at Joyce Meyer. And the Signs and Wonders chapter looks at the currently large influence of Bill Johnson and Bethel. Pugh’s conclusions on each of these movements differ. While having concerns in each area, he sees some as much more problematic than others. The Inner Healing movement, for example, he sees as at least salvageable. 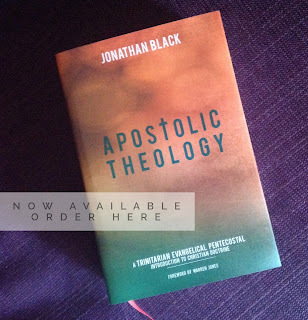 As long, that is, as a ‘decidedly biblical theological bias’ is given to the movement, ‘so that secular ideas are truly woven into Christianity and not vice-versa’ (p.121). Word of Faith, on the other hand (and he writes as someone who has been part of the Word of Faith movement), he is clear is a complete failure ‘because it has failed to communicate a genuinely Christian concept of faith but has sold people something else which seems to answer their deepest fears and needs, but has failed to be honest about the true nature of the product’ (p.121). Pugh fears that Word of Faith teaching is ‘in danger of producing a loss of wonder … at the unprompted kindness and benevolence of God … Ex-adherents need the good food of a healthy God-concept in place of the … unhealthy (and exhausting) Faith concept’ (p.86). This is an insightful book. 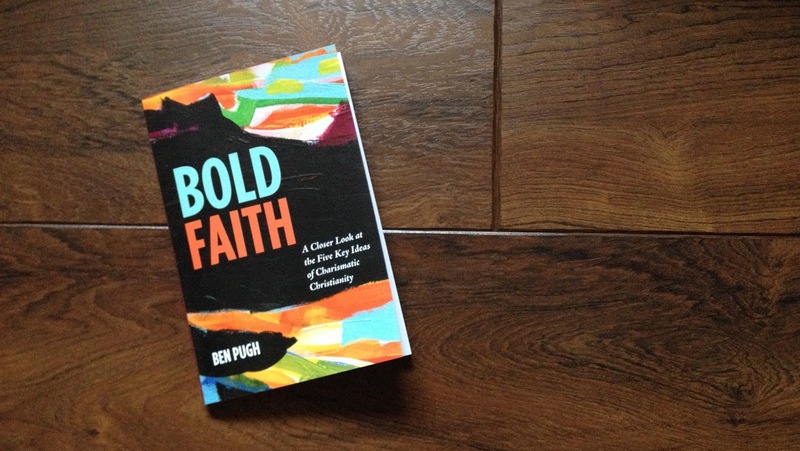 Pugh draws clear connections in a short space, and highlights the underlying theological problems which lurk below the surface actions of many forms of the charismatic movement. (Although, he is also careful to point out that there are other types of charismatics much more firmly rooted in the historic Christian faith – he singles out Terry Virgo as an example.) He also writes as a sympathetic observer of the charismatic movement, so his Conclusion points to some of the ways that charismatic teachers could address some the problems he highlights. (He points them, for example, to the resources found within both Reformation theology and Eastern Orthodoxy.) And he sees ways in which those beyond the charismatic movement could learn from the Charismatics, not only in their successes, but also in their mistakes. But, the most insightful chapter of the book, in my eyes, is Pugh’s excursus on Charismatic worship. I posted a quote from it recently (and if you haven't read the quote, read it now!). But the gist of his conclusion on contemporary charismatic worship is that it has little place for the cross of Christ, or at least for any conservative evangelical understanding of the atonement. But not only that: once you observe this feature of charismatic worship, you can then see how it also applies to the five ideas Pugh looks at in the book. None of the five depend on Christ having taken our place and died for our sins on the cross. Perhaps this is the biggest difference of all between these forms of contemporary charismatic thought and Classical Pentecostalism. If you could characterise early Classical Pentecostalism (in its British form anyway) with a song, I think it would have to be the one in which we find the words: ‘He took my sins and my sorrows / He made them His very own / He bore the burden to Calvary / And Suffered and Died Alone.’ The cross of Christ was utterly central to Classical Pentecostalism. Even when it comes to the Pentecostal emphasis on the baptism of the Spirit, it’s really an emphasis on Jesus, the Crucified, Risen and Ascended Baptiser in the Holy Spirit. The gifts of the Spirit point us to, and glorify, Jesus who died and rose for us. Healing flows from the cross of Christ. We gather in worship around His broken body and shed blood. And our Soon-Coming King is the Lamb who was slain and lives. The Blood of Jesus is at the very heart of Pentecostalism. And before uncritically adopting ideas from the Charismatic movement, we would wise to see if the blood of Jesus is central to these new concepts as well. Anyway, I heartily recommend reading this significant book!